» The Best Sleeping Bags under $100 – Sleep Cheap, Not Poorly! The Best Sleeping Bags under $100 – Sleep Cheap, Not Poorly! When it comes to camping gear and accessories, one area that you don’t want to cut corners is your sleeping bag. Staying not only warm but also comfortable is paramount for restful sleep. If you aren’t much of a camper it may not be the best idea to spend several hundred on a sleeping bag that may not get a lot of use for your next camping trip. Thankfully, with some careful research, you can find some excellent quality bags for under $100. First, let’s get to some questions. I hear it all the time — you get what you pay for. And, while I think that is typically truer than not, especially when it comes to outdoor and survival gear, if you do your research (like me) you can get lucky and find some suitable finds for cheap! When I’m evaluating a new product, I always take into account the real-world conditions these products will be in. If you are an avid camper, hiker, all-around adventurer like me, you know what the ‘real world’ trail, mountain and stream conditions can be like. That’s why I like to choose products that last! How do you choose a decent sleeping back for under 100 bucks? Can you really find a quality sleeping bag for under 100 bucks? 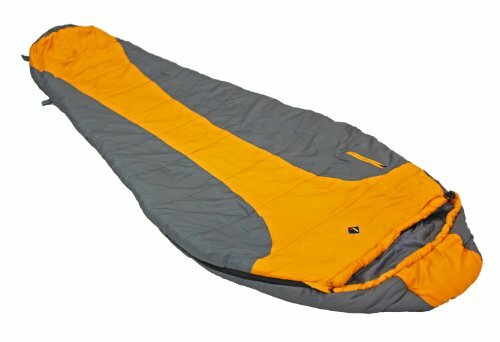 What features should I look for in a decent sleeping bag? There are always things you should invest your money on. Depending on your sense of adventure, where you plan on using your sleeping bag or camping, you might not have to invest a lot of money in a sleeping bag. I’ve done my research and found 3 that I would safely recommend, but that doesn’t mean these will hold up in ANY weather conditions. If you are, for example, going on a serious backpacking trip somewhere in the northeast, where you might encounter snow, I would recommend you invest in a serious cold-weather backpack. There are many things to consider when buying a sleeping bag. Will you be sleeping on the ground? Will you be in cold climate? Yes, you can. I chose 3 but there are many more. 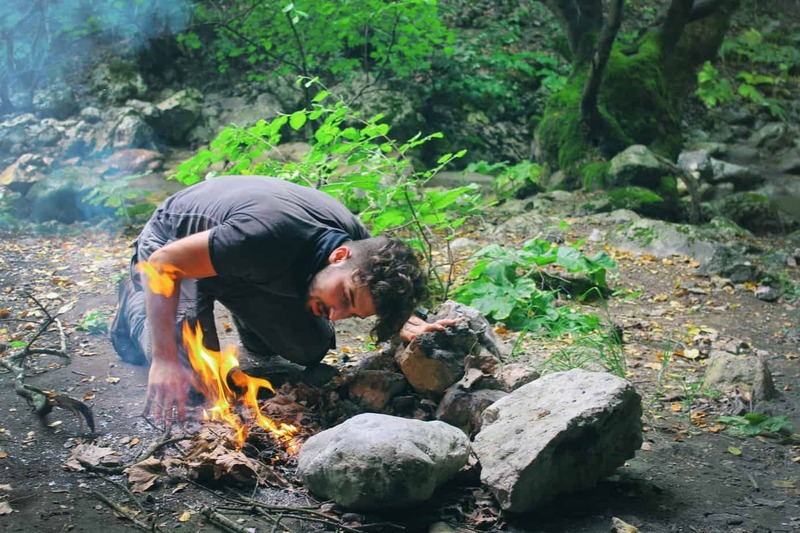 If you are new to camping and don’t want to spend a ton of money, you can start with this list. I believe everyone should experience the joys of camping. If you are planning on roughing it in a cabin somewhere, during the summer months in the mid-west with your family, you won’t need to shell out top funds for a decent sleeping bag. There are many features that you need to look for in a sleeping bag that will hold up, especially if you are going to find one for under 100 bucks. Firstly, if a sleeping bag looks like a cheap sleeping bag — it is. You know those flimsy, thin ones you find in your local hardware store — avoid those. Those are only good for indoor sleepovers when you are under 10. Start with the outer shell, what is it made of, what materials is it? Then look for the filling, sleeping bag liner, keeping in mind the overall rating of the sleeping bag. Sleeping bags always come with their own weather ratings, so pay attention to that. I would always err on the side of caution when it comes to temperature ratings as well — you don’t want to sacrifice warmth for the price when you are sleeping outside! Here are 3 of the best economical sleeping bags on the market. First up is Marmot’s Trestles 30 bag. These bags are warm enough for most camping trips and will last for years when cared for properly. Whether you are buying your first real sleeping bag or just looking for a less expensive model for short trips during mild weather, the Trestles 30 is sure to impress. The Marmot Trestles 30 is a super comfortable and surprisingly warm sleeping bag. The SpiraFil insulation is a blend of large hollow fibers mixed with smaller polyester fibers. Not only does this mix keep you cozy down to 33F, for most mild 3 season camping trips, but also makes this budget-friendly bag very soft, lightweight and easily compressible. You will also be protected from cold spots since this bag was a wave stitched design, meaning that the insulation is actually more like overlapped shingles rather than just randomly stuffed into the shell. Warmth aside, Mamort used very durable polyester material for the shell and lining. Both have a DWR or durable water repellent finish. This repels moisture from the shell and also prevents staining. 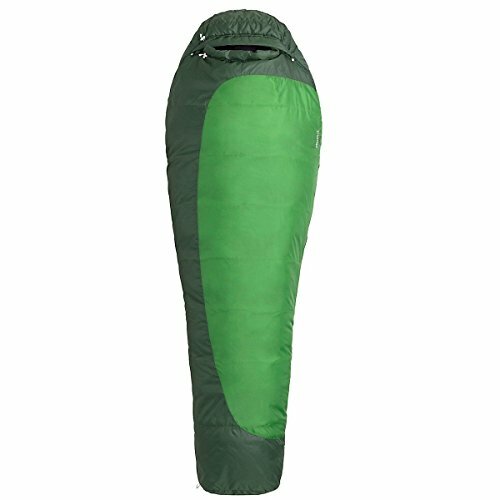 Other features that make this sleeping bag seem much more expensive than it includes a roomy footbox that is contoured to trap in heat and a 3D hood that hugs the face without discomfort. There are drawcords located around the hood so you can cinch it down around your face and also a drawcord on the top opening to make small adjustments easy. Another great feature is the addition of dual zippers (1 half zip and 1 partial zip) along with zipper guards and a draft tube. 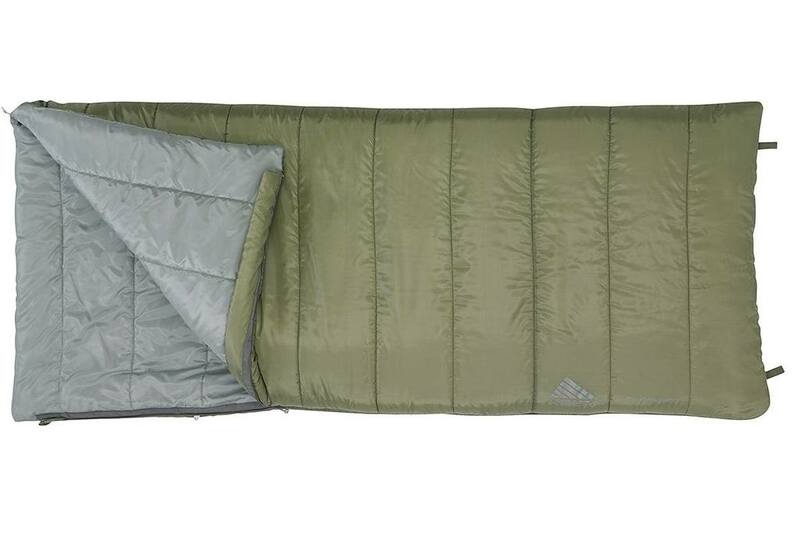 This is great looking sleeping bag that is sleek and will keep you surprisingly toasty. Most average sized people will find this bag to be a great size. Marmot does have a Long and Long X-Wide version of this bag but they are more money. If you are a bigger person you may be able to find these larger sizes on sale for under $100. You can check this listing for the very latest reliable pricing. 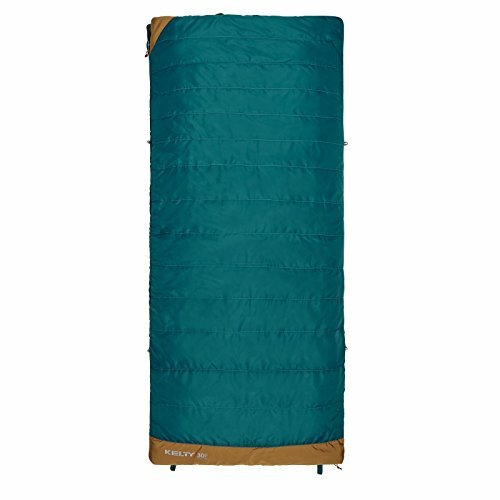 Ledge Sports may not be as well known as Marmot or Kelty but their Featherlite +20F sleeping bag is a great choice for those with a budget under $100. 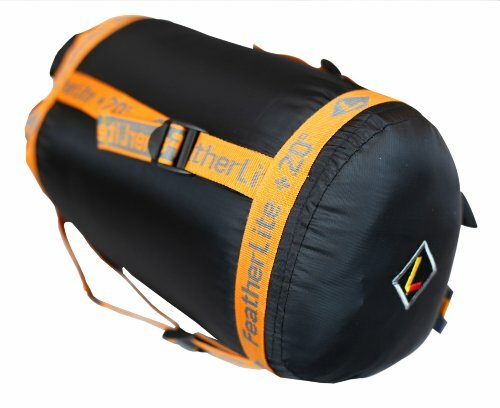 Ledge Sports may not have the same reputation as Mamort and Kelty but their FeatherLite +20F bag is consistently rated highly and quite economical at under $85 (as of this writing). Depending on the retailer you may be able to find the bag for under $70. I bought mine via this listing for a good price. This is a really nice mummy-style sleeping bag that can handle temps down to 20F but is best saved for temps above 30F unless you are an experienced camper with proper cold weather gear. It is a nice size bag for the average man or woman but may be too snug for those who are wider or taller than average. Kelty may be known for the high-tech camping gear but they do have some great products for those who may not be serious campers or those on a strict budget. The Discovery 30 is designed and produced by Kelty but sold through REI. This is a classic sleeping bag that is surprisingly versatile. The Kelty Callisto 30 Degree Regular sleeping bag is another one (a bonus selection) that I can safely add to my list of recommendations here. It came out a couple of years ago, but most of the reviews of this bag are positive. It has a temperature rating of 30 F, so it should keep you warm on most camping trips. I love the teal color one as well. You can also buy more than one and zip them together for extra body heat! The REI exclusive Kelty Discovery 30 sleepings bags are basic, resembling the classic rectangular sleeping bag. Don’t let that fool you though. The design of the Discovery 30 may be simple but it performs its job of keeping you warm very well. The Cloudloft polyester fill is plenty warm for nights down to 30F, making it a great all-around bag for most spring, summer and mild fall camping trips. The Discovery 30 is a bit more flexible than most sleeping bags. Since it is rectangular in design you can easily unzip the bag completely to use as a comforter-style blanket or combine two of the same size bags together to make a dual bag for two or a maybe 3 kids. This versatility makes it perfect for someone that wants more from their sleeping bag. It is perfect for car or backyard camping. Coming in at under $65 for the largest size, the Discovery 30 is a killer deal. It’s available exclusively online via this listing. It may not be the most beautiful sleeping bag but it does its job very well. For the price, you will be hard-pressed to find a sleeping bag so warm and able to be used in different ways. Just because you don’t have hundreds to spend on sleeping bag doesn’t mean you have to settle for a badly designed, cold bag from your local big box store. Save yourself the trouble and have a better night’s sleep out in the backcountry by choosing one of these three models instead. Still not sure? Check out our comprehensive sleeping bag buying guide here. It will help you evaluate your needs and the best type of bag for you. And, as always, enjoy your next camping trip! Get out there!